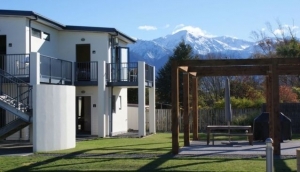 Christchurch Motels are a great budget option if you don't have the cash to splash on a five star hotel. The city has a ring of suburbs surrounding the CBD that all contain a wealth of motels, all within easy reach of the centre. Motels in Christchurch are in great supply. With an airport that's so close to the CBD, the roads in between are littered with good quality places to stay. Because most motels are outside the CBD, they were largely unaffected by the 2011 earthquakes. Riccarton is the main motel strip, especially along Riccarton Road, Yaldhurst Road and Memorial Avenue (Roydvale Avenue junction). Immediately north of the CBD, Bealey Avenue has lots of boutique motels, within walking distance of the city's attractions. If you're coming in from the northeast, try Avonside, east of Fitzgerald Avenue. In the south, Lincoln Road is a main artery into the CBD, and hence has lots of spacious motels to drop into. The train station, in Addington (southwest tip of Hagley Park) also has plenty of places to stay in the streets around Blenheim Road and Whiteleigh Avenue.